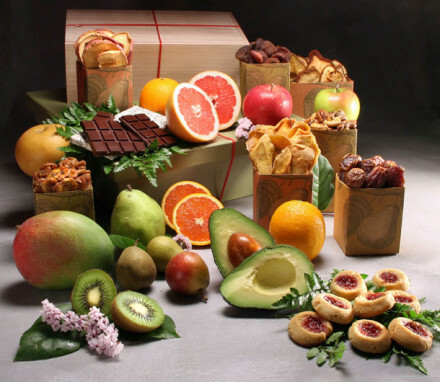 Discover one delectable surprise after another. 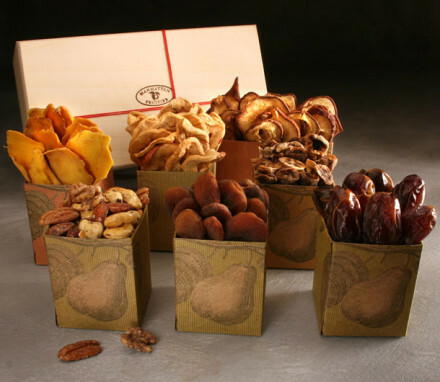 The nine item Dried Fruit Box features dried fruits & nuts. Selection varies by season. See contents below. 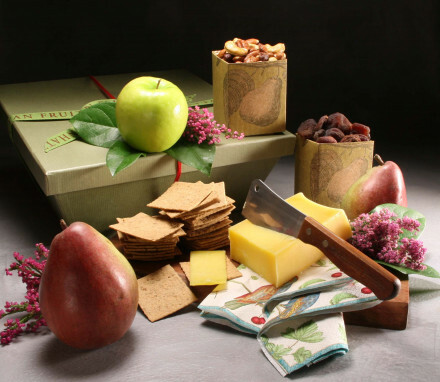 These are presented in a keepsake wooden box. 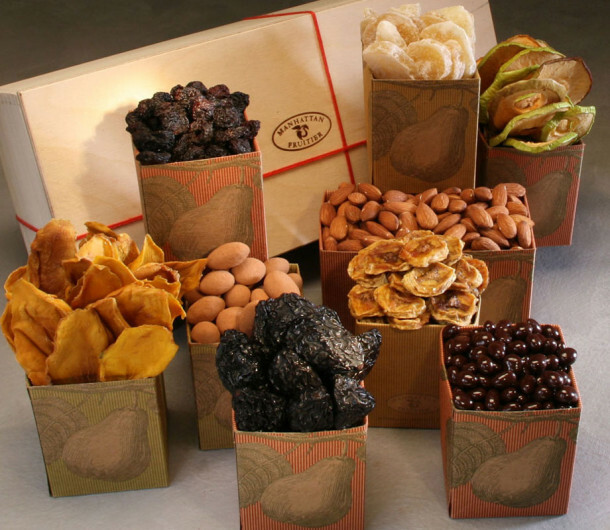 Dried fruits may be treated with a minimal amount of sulfur dioxide to preserve quality.